Word of mouth sure travels fast. Nat Wallen contacted by Donn and Lisa Carey who were drawn to a home he had for sale with a pool. She interviewed several agents and decided to work with Nat. She liked his “straight forward - non pushy” manner and Nat's extensive knowledge of the home buying and selling process. It turns out that Lisa was in charge of a group of recruiters for Global Aeronautica. She explained that as a sister company to Boeing, Global Aeronautica is building the fuselage for the new airplane they were building in Charleston. Lisa was so impressed with Nat's service and expertise she invited him to meet the recruiting team and they immediately referred Daniel K., a manufacturing engineer, to Nat. Nat matched Daniels family’s needs with one of his home sellers almost instantly. 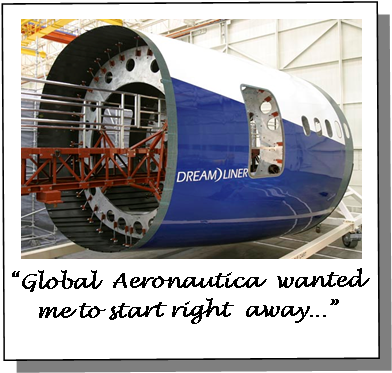 Since that time, Boeing has merged with Global Aeronautica and this has given Nat even more opportunities to help his seller clients with incoming aerodynamic professionals. 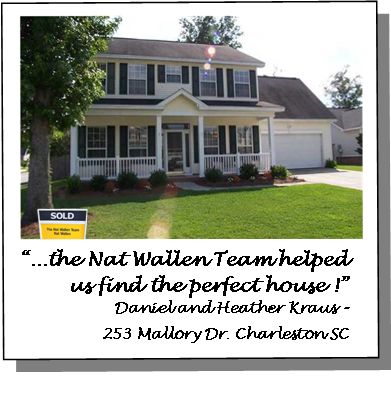 With the Nat Wallen’s direct connection with incoming professionals and the plethora of people moving to Charleston now and in the very near future, there is no better time to be on the market, nor is there a better agent to help you with the sale of your home.